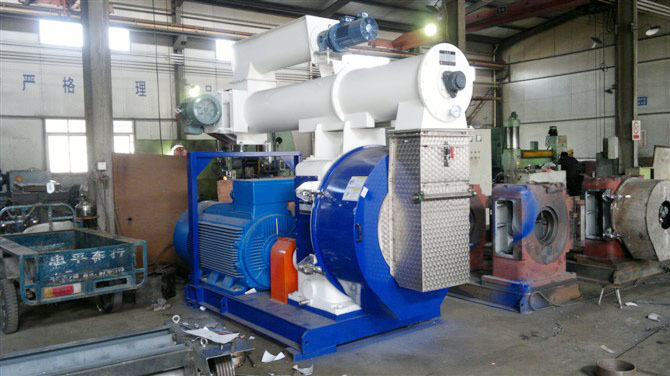 Introduction : Ring die pellet mill is an ideal pelletizing machine for high quality feed pellets. Before pelletizing, grains such as corn, wheat, rice and soybean etc. Ring die pellet mill is an ideal pelletizing machine for high quality feed pellets. Before pelletizing, grains such as corn, wheat, rice and soybean etc. need to be crushed into powder. Also they should be mixed throughly with a mixer since other additives may be added to ensure a balanced feed formulation. The finished feed pellets have a smooth surface and easy to digest for animals. Therefore ring die feed pellet mill is widely adopted by livestock farm, poultry farm, feed processing industry and aquaculture. Different animals have special requirements of pellets, we have several types of ring die pellet mills which can respectively produce livestock feed pellets, poultry feed pellets, aquatic feed pellets, etc. around 90��C, therefore the machine can work well continuously. a. 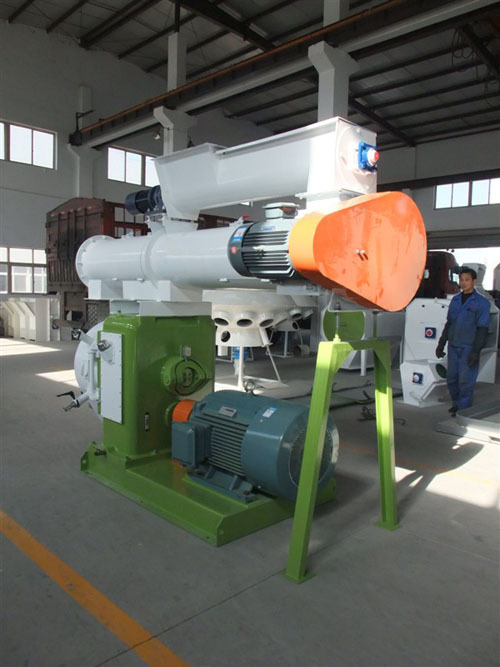 Unlike materials that are used to make wood pellets, grains for making feed pellets can get into the pellet machine just through gravity, thus imperative feeding device is not necessary. b. During the pelletizing process, steam should be added through the steam pipe . The steam can accelerate the ripening of materials and the finished pellets are easy to digest for animals.